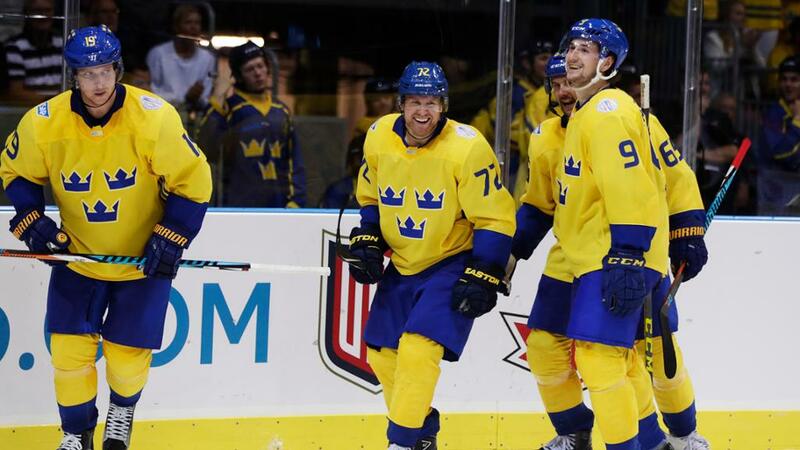 On the last day of the preliminary games, Patric Hornqvist continued to lead the way for the Pittsburgh Penguins players involved in the upcoming World Cup of Hockey as six teams faced off to close things out. The first game of the day was between Team Czech Republic and Team North America at Consol Energy Center. It featured just one Penguin; Matt Murray. It also featured another born in the greater Pittsburgh area. Murray only played 40 minutes but right off the bat he made some big saves. He saved 16 of the 17 shots he faced which is good for a 94% save percentage on the night. His team lost 3-2, however. His play in the preliminary games likely gets him the starting role. As Penguins fans know all too well, he can step up in big games and he shouldn't be underestimated either. Brandon Saad, a Pittsburgh native, saw 10 minutes of ice time against the Czech Republic while getting a shot on goal and dishing out two hits and spending two minutes in the penalty box. Not bad for playing in your hometown against the best players in the world. In the second game of the day, Team Sweden got trounced by Team Europe 6-2. 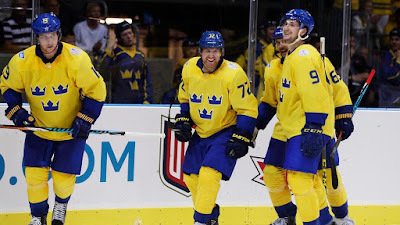 One of the Team Sweden goals came from Patric Hornqvist, from, you guessed it, a deflection in-front of the net. Something that has been his National Hockey League specialty. Last night's goal increased Horny's goals to games played percentage at 75%. He finishes the preliminary games having scored three goal in four games. Everything he touches turns to gold. Can he lead Team Sweden to a gold medal in the WCOH? We'll see starting on Sunday. Speaking of the numbers six and two, teammate on both the Pens and Sweden, Carl Hagelin, saw 13:35 worth of ice time while recording three shots on goal. The grand finale saw Team Russia fall to Team Canada 3-2 in Overtime at the Consol Energy Center. Penguins Captain Sidney Crosby and his Assistant Captain Evgeni Malkin both recorded an assist for their respective teams. They were both accordingly cheered loudly as their names were announced. Alex Ovechkin, Team Russia's captain... not so much. Wednesday's games bring an end to the preliminary rounds of the World Cup of Hockey. The real action gets underway on Saturday with Team USA taking on Team Europe at 3:30pm on ESPN2. At 8:00pm Team Czech Republic will face off against Team Canada on ESPNews.